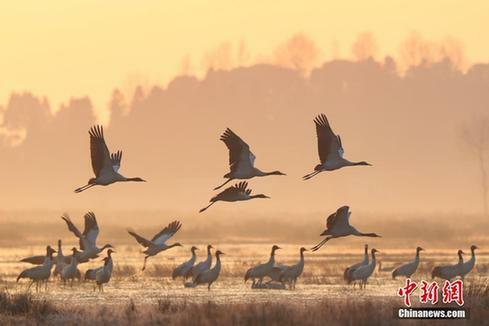 Caohai National Nature Reserve in Guizhou Province, the largest bird wintering ground in Southwest China, now provides sufficient food and a suitable environment for approximately 100,000 migratory birds. 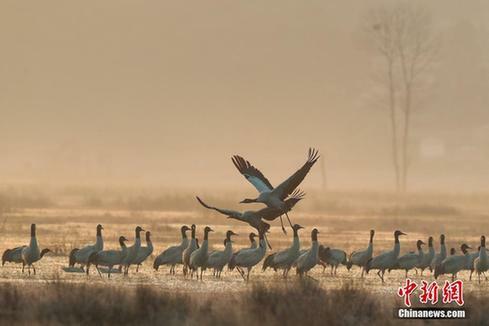 Located in Weining Yi, Hui and Miao autonomous county, the reserve added more than 80 hectares of plants, favored by the birds, last year. "Several types of plants are now harvested at the reserve, including 45,100 kilograms of potatoes and 6,500 kg of barnyard grasses," said Ran Jingcheng, an official of Guizhou's forestry department. 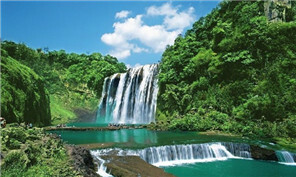 Caohai Lake, located in the reserve, provides an ample supply of aquatic flora. Its mild climate and well-preserved ecosystem make it an ideal place for waterfowls and other rare transient birds. The reserve accommodates more than 100,000 migratory birds in the winter, including over 1,700 black-necked cranes, a rare fowl species on the verge of extinction, as well as hooded cranes, white storks, black storks, golden eagles and white-tailed sea eagles. 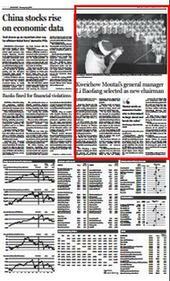 "Black-necked cranes usually arrive at the lake between October and November and leave from March to April," said Ran, "We offer food for these migratory birds in the chilly winter months." 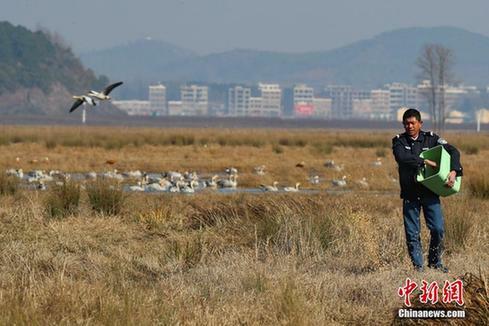 In addition to providing food, workers at the nature reserve also set up shelters for the birds with wood and dry grasses, as well as conduct bird flu monitoring for poultry raised by nearby residents. With increased environmental protection in recent years, the variety of birds living at the Caohai reserve in winter has increased from 203 species a decade ago to 230 at present, with the number of birds increasing from 70,000 to 100,000 by Dec 21.